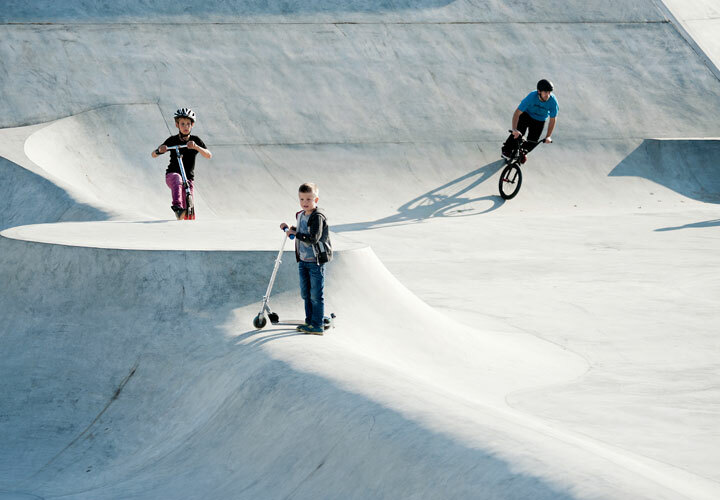 StreetDome’s overall ambition is to set new standards for urban arenas for unorganised sports. 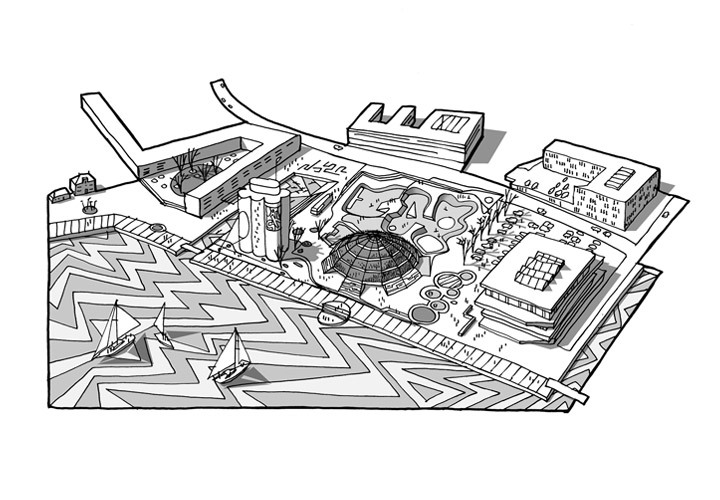 StreetDome is an open playground and social meeting place for different ages, skill levels and cultures. 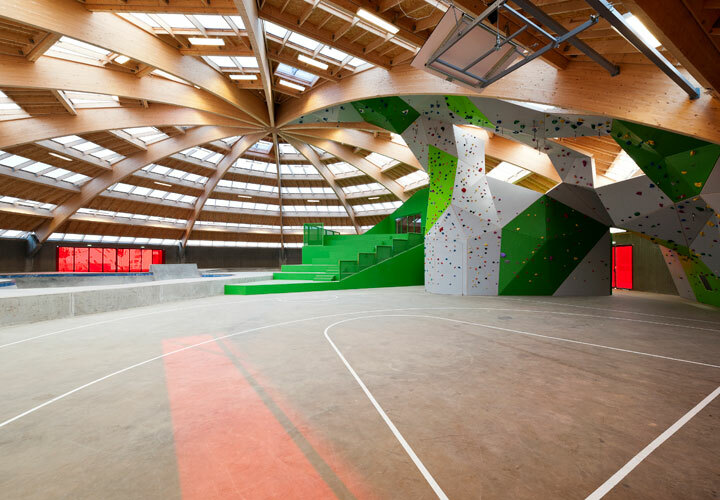 StreetDome is a vast and unique urban landscape for activity and recreation including a 4.500 square metre skate park, facilities street basket, parkour, boulder climbing, canoe polo etc. 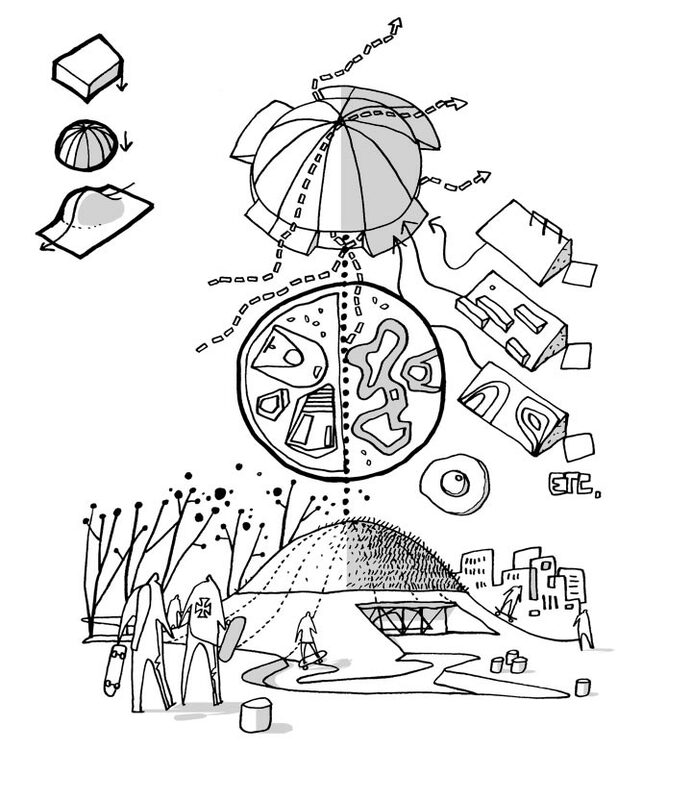 The StreetDome itself is based on CEBRA’s igloo hall concept. 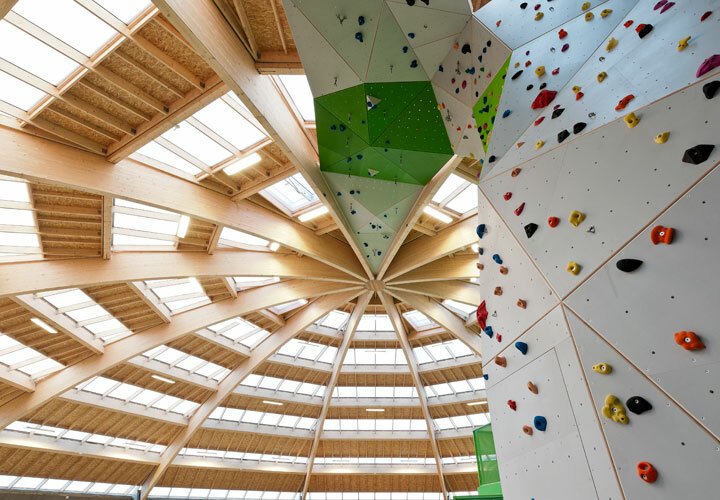 To reduce running costs, the hall is unheated and lit primarily through daylight while the building’s surface area has been minimized through its dome shape. 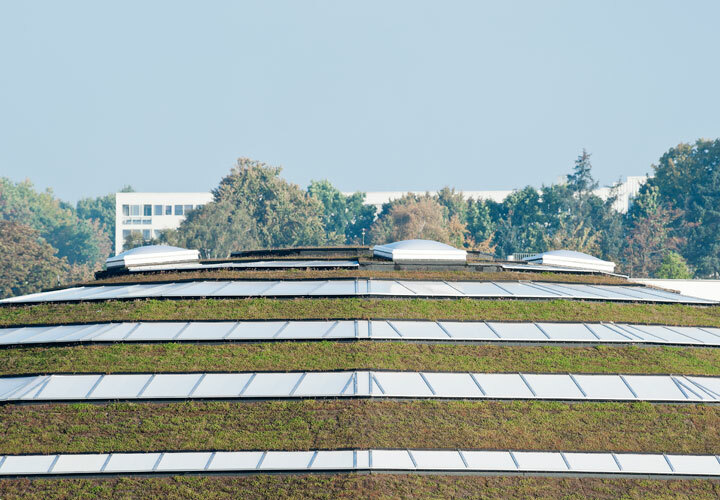 The roof spans around 40 meters under which there is a large open floor. 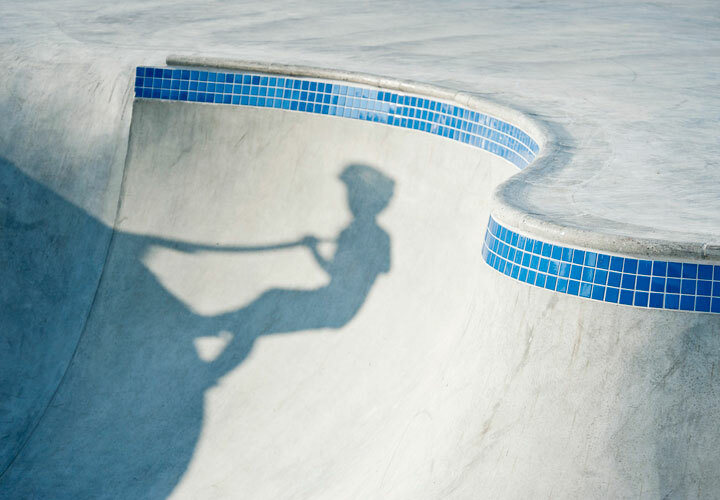 This space is free of load-bearing structures and can therefore be used for any kind of sporting arrangement, in this case skateboarding. 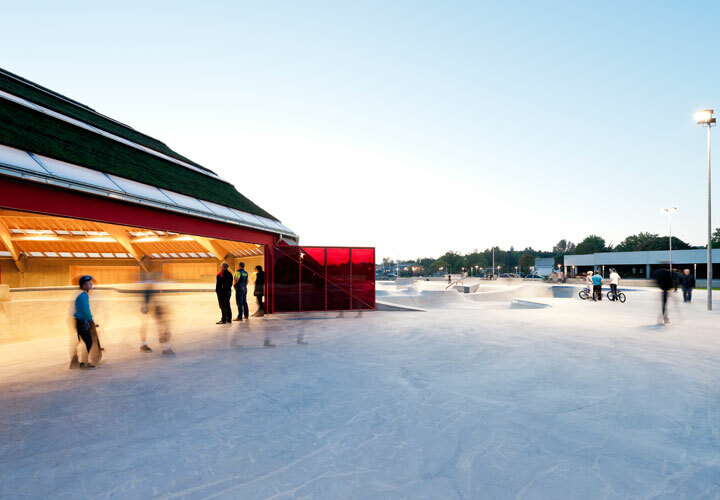 The Igloo is adapted to both the site and the specific function of skateboarding and street culture. 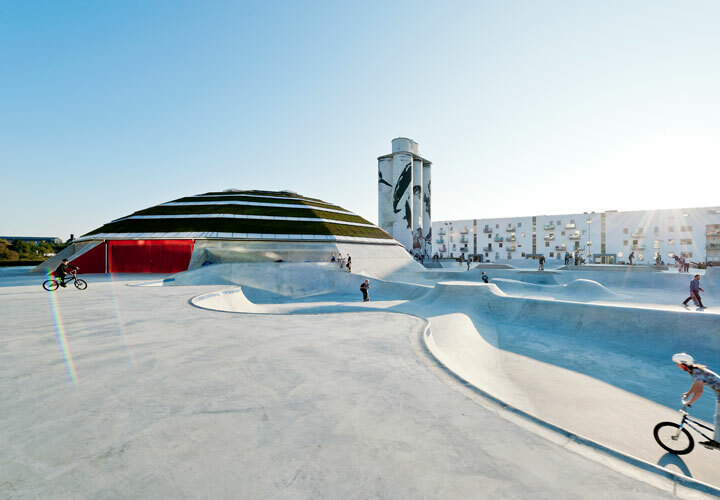 On the outside, the dome is an actual part of the skate park, growing out of the concrete landscape like a mushroom. 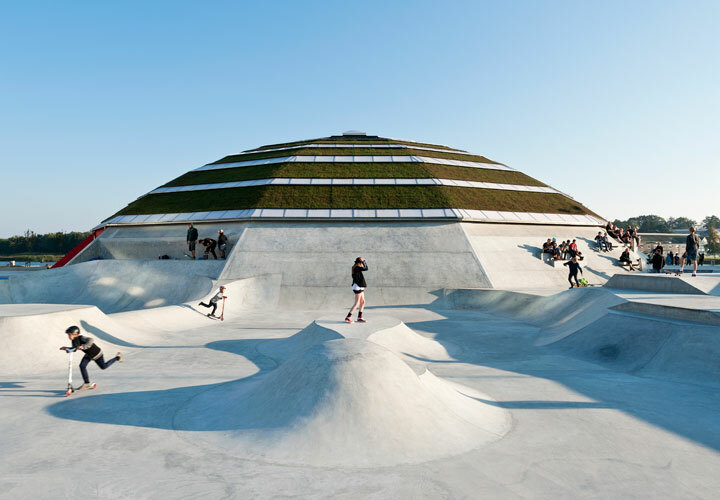 The structure is designed as a functional part of the park to skate on with banks, stairs and slopes along the rim. 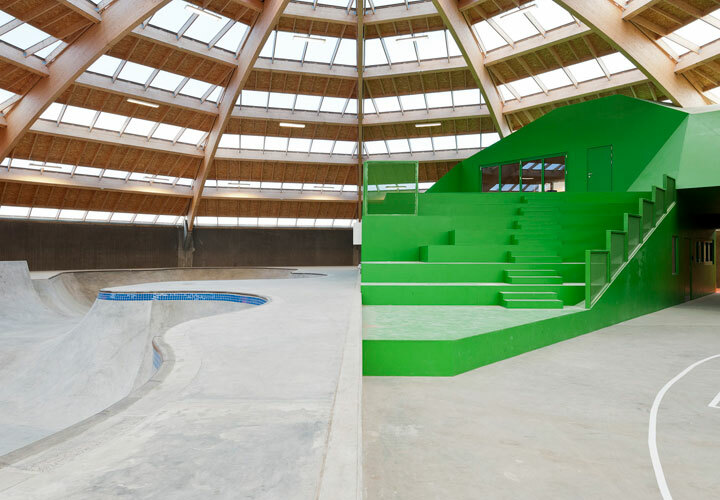 Inside, a series of pools are scooped out of the floor next to a street basket court and a central boulder structure containing a performance platform, seating and bathrooms. 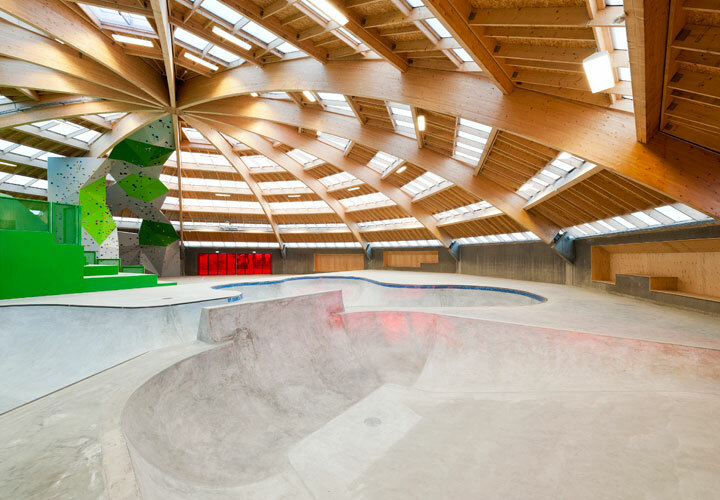 Wide gates open to the outside connecting the surrounding skate park with the inside floor, creating a seamless flow through the entire park. 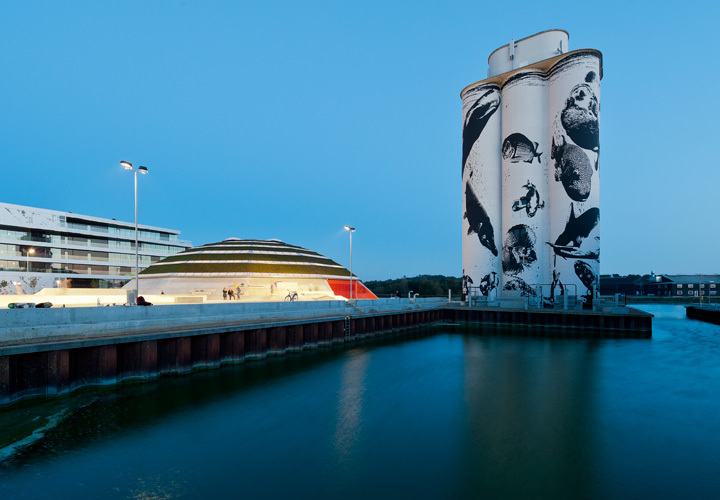 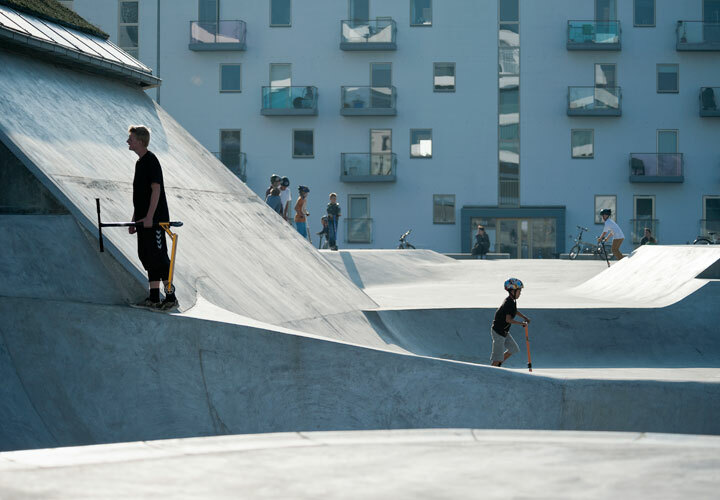 StreetDome forms one continuous and varied spatial course, which gives Scandinavia a modern street sport arena with unique features and possibilities. 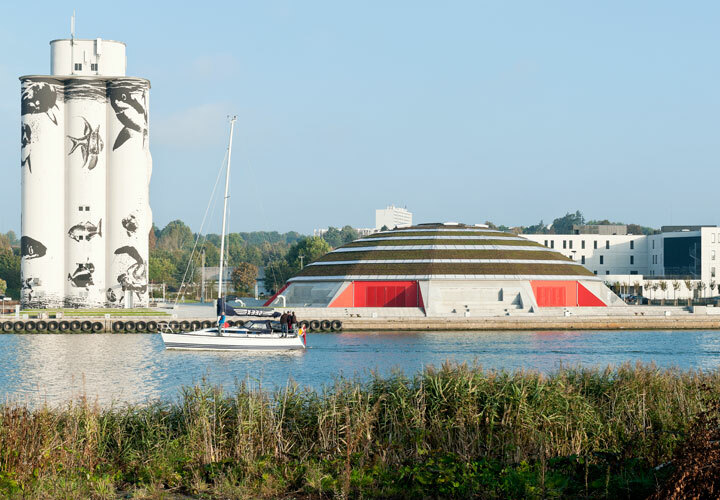 In the planning phase CEBRA has implemented the results from the comprehensive dialogue with a wide range of the facility’s future user groups. 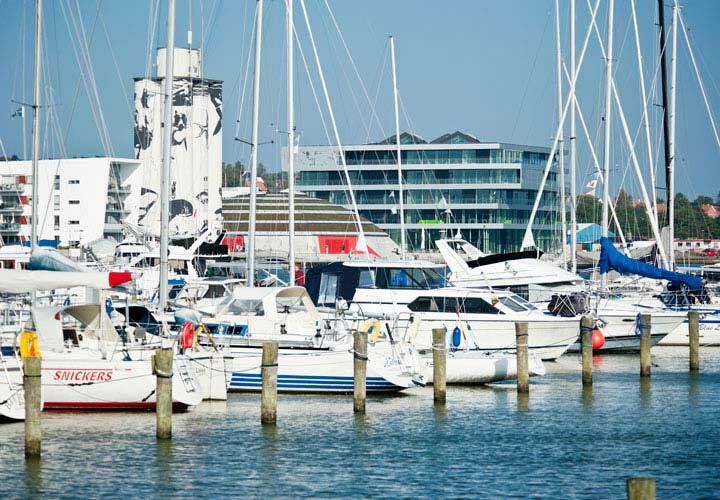 This process has been an essential element right from project’s initial phases and has left a clear mark on the final design.